Face it, video is here to stay. It is a readily available marketing tool in the palm of our hand and yet many of us fear the idea of using it. But those that are creating short branding videos for social media know just how much more engagement they are receiving. Engagement means attention, brand awareness and natural audience reach. Logic tells us that we should be creating deeper conversations and connecting more emotionally by videoing ourselves more, so why do we shy away? The very thing that scares the crap out of us videoing ourselves, is actually the very reason why we should. People are very drawn to authenticity. Authenticity builds trust. Keeping it real is what people relate to. So, logically we should be creating regular marketing videos of ourselves to build credibility and influence, through familiarity. Instead we shy away by making excuses. It costs too much to do, I don’t have the time, I’m not dressed for it today, etc etc. Do you walk around with a paper bag over your head? No, of course now – we want people to know our business! 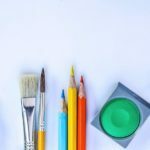 But, if you are camera shy, I’m addressing them below in 5 simple ways to market your brand on social media using video, (until you are ready to focus the lens on you). 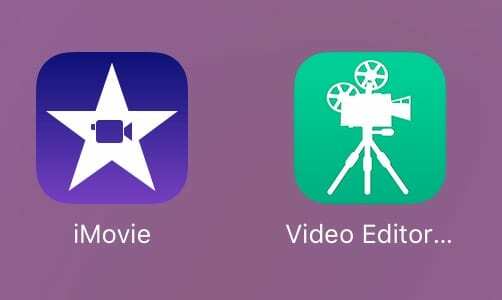 Point the camera at a relevant view and record yourself as voice over. This is always good if you have something you want to rehearse and repeat if you need to. Again point the video lens to a view and do voice over. The difference to uploading a prerecorded video is that you are streaming it live to Facebook as you are recording what is happening. The pros to streaming live is that it takes up no memory on your phone to store the video and people can add comments or ask you questions as you stream. 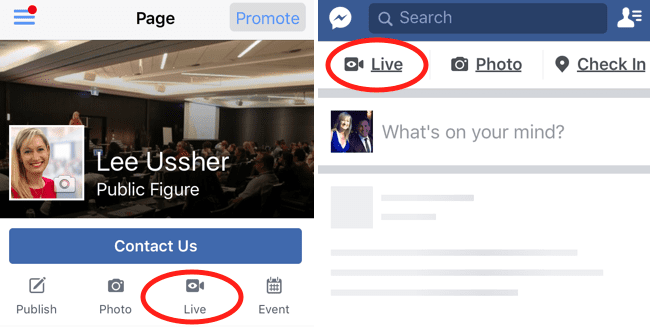 The typical use for Facebook live video is at events. It is a great way to highlight the emotional buzz, capture speakers and even interview others. This is a super quick non tech savvy way to create a short slideshow from photos and add music to it. 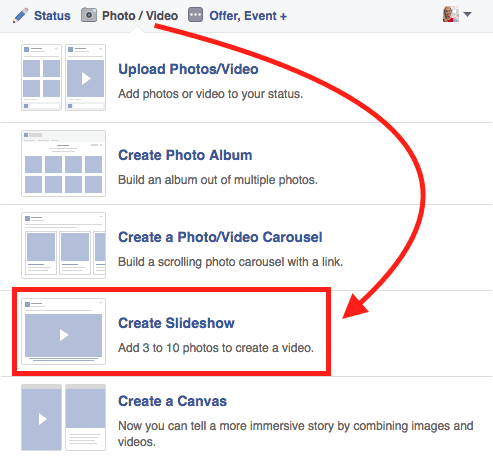 Your length of video is limited to 10 images and the music choice Facebook supplies is also limited, but it does allow you to upload and save your own music files for future reference. Slideshows are a great way to display a series of product images. Add the product descriptions as the post with a link to where orders can be purchased or further info. This is a great method to create ongoing sales leads if you then advertise the video. This is very useful if you need something quick created because it allows you to upload up to 20 images to a choice of pre-selected slideshows with pre-installed music. Save to your camera and then upload wherever you want. 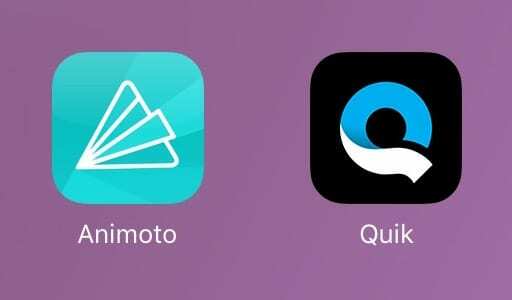 Again, Quik is an app similar to Animoto, but it has a larger collection of templates to choose from, and you get to choose the music from a very decent pre-installed library. It also has the option to upload video and/or images. So you can personalise it with voice over videos (or selfie videos) and add to the end an image with your logo and call to action e.g. “find out more…”. I do like the Quik app, it has some very cool typography style transitions and it is my favourite go to video tool to fast track any content quickly at the moment. So there you have it, no more excuses to why you should not be able to take full advantage of creating short branding videos for social media use. Once you get into the habit, and find the tools that work for you best, you will see the impact video marketing will have and wished you had got over your fear of the camera sooner!